Yay, I remembered to do my favourites this month, this never ever happens. I feel like I am more than ever on top of my blog at the moment, and although I have seen a lot of people saying over the last week that they feel like they've fallen out of love with it and feel like they don't fit in, I couldn't feel more opposite to that. I thought I would include a life update in here today just because I haven't really done a chatty post in quite a long time, I hope you don't mind and if you do just want to see the Feb faves, I won't be offended, just scroll down right where you need to be. Life has been so good to us recently and even though we're horrendously tired constantly, I think me and Justin both feel totally content and full in our relationship and our life together. This month I am realising the full experience of having more than one child, I am exhausted. Harper is 3, and Hudson is about to turn 4 months and although they have different needs, their high demand is equal and it can be so exhausting at times, magical, but exhausting. I have been thinking a lot about the rest of the year and I really want to achieve lots of life admin this year and just get stuff cemented in place so we can enjoy our family life together so much more, we have spent a lot of our spare time just tying up loose ends and working out what needs to be done to achieve next steps. My diet is going horrible, I just bloody love takeaways, it's really hard to get motivated to cook when you're running around after two kids all day so now I live in the city centre I can get literally anything I could ever want delivered to my door, which is so dangerous for my diet. I am going to get back motivated in March, I really want to look better this summer. The last thing I wanted to tell you is that I am thinking about starting to vlog & I have been occasionally 'instavlogging' over on Instagram to get some practice in before I take the big Youtube jump, I would love some feedback or some tips, so if you're on Instagram make sure you're following me to see those - instagram.com/rebekkablogs. 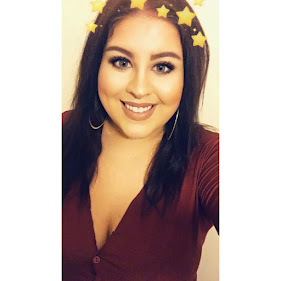 I also just want to say a massive thank you to everyone who has been reading my blog, my views have gone up by thousands and I am so grateful, I have been getting lots of messages referring to my '5 ways to heal a broken heart' post, it was really personal to me & to know it has helped you guys reading it, makes my heart burst, so thank you. So, onto the February favourites and there's quite a few, like I said, I haven't done a favourites post in a really long time so this will include many faves that I have been loving over the past couple of months as well as this month, enjoy. I had always been a Batiste gal until I got kindly sent this in a giveaway I won and now I will never go back. As a mother of two children under 4, you can imagine, washing my hair is like a very minor priority and a scarce opportunity these days, so dry shampoo basically stops me from looking like I could fry an egg on my head, which is bloody genius. The best thing about this dry shampoo vs the leading brands is that it doesn't cake your head with white residue, making your roots less glam and more gran. The scent is so long lasting & fresh, I can't fault this dry shampoo, it's my absolutely mummy must have. I really wanted to buy this for such a long time so when it was on offer for £20 I just had to grab it whilst I could. I have seen so many amazing looks created with this styler and I was not disappointed. I used it on my little girl Harper and if you follow me on social media you would have seen how amazing it was. It's weird because unlike other curlers I have used the curls stayed in my hair for 2 days, until I washed it, which is amazing. I really recommend this one in particular because the wand is infused with argan oil which is really good for your hair. I also won this little gem in a giveaway, which I was absolutely ecstatic about because I have been waiting for it to restock on Beauty Bay so I could purchase for months. I have seen so many amazing looks created on Instagram with this palette and it is absolutely stunning. If you look your brown, taupe and gold tones, this palette will blow your mind, and it's super pigmented. What more could you want from a palette that only costs £22? I have been and always will be obsessed with everything Soap & Glory make and for Christmas I got a huge gift set from my fiance that was full of my favourites, including the Soap & Glory Hand Food, which I had heard so much about but never tried. As usual I wasn't surprised or disappointed with the amazing quality of this hand cream. It's great if you have quite dry hands like me, it's super hydrating and really quickly sinks into the skin. I saw a huge buzz about this foundation on social media about a month ago and found it on Beauty Bay for £11, which I thought was a total bargain, so I gave it a go and I am so pleased I did, I love it. I would say it's a high medium to full coverage foundation, it's extremely long lasting and really works well with my oily t zones. The only thing I have to say negatively about it, is the colour, I have it in one of the lightest shades, if not the lightest and I still have to mix it with a white foundation to get rid of the wotsit colour it caters for. Other than that, it's faultless and for £13 I am a little more forgiving than usual for the orange tones. ntly obsessed with the Lindt eggs and the Cadbury's Egg and Spoon Oreo eggs. I don't even have a sweet tooth but as soon as that easter chocolate hits the shelves, I am committed, anybody else with me? I bought a shirt dress from Boohoo & recently did a post about this embroidered trend that is sweeping the high street's most fashion brands. I am in love with it and I am desperately hoping it's sticking around for the Spring/Summer. If you follow me on social media or know me, you will know I am OBSESSED with Moana, it's actually becoming my favourite Disney film of all time. We love it in our house, the soundtrack is ALMOST better than the film, I listen to it when I am cooking & even as I am sat here writing this now. I took Harper out for some one on one time to watch it in the cinema and it was just amazing. I recommend all of you to watch it and then download the soundtrack because it is outstanding and so catchy. I have always been that girl with the good skin, I have never ever suffered with bad spots or skin problems in the slightest. However, this winter my skin has been suffering more than ever and Garnier kindly sent me their entire skin active collection after they saw my post about my friend's acne that was cured by their amazing micellar water and it has transformed my skin. Even if you only use the micellar water to twice a day, I promise you will see a difference in your skin. If you didn't already know Spotify do Daily Mix playlists that are completely tailored to your personal listening habits and I bloody live for mine. You get about 5 playlists assigned to your personal accounts that are usually contain music of similar genres and I always listen to them when I am cooking, there's no annoying unexpected songs that you don't like or want to listen to because they are completely made for you. I read somewhere that drinking green tea with lemon helps you to lose weight so I decided to give it a go and drinking it alongside the Slimming World plan. It actually worked and helped me to achieve a half a stone weight loss in a week, which was amazing. The last week or so I have fell out of the routine of drinking it and I can definitely tell the difference. I started feeling so energised when I drank four cups a day and wasn't napping lots anymore, but since I have stopped drinking it I have been suffering with the worst fatigue, I am definitely going to get back into the routine of drinking 4 cups a day again because it made me feel so much better when I did. I hope you have enjoyed my February favourites, I would love to know what you've been loving this month so either leave me a comment below or come say hello over on my social media channels. 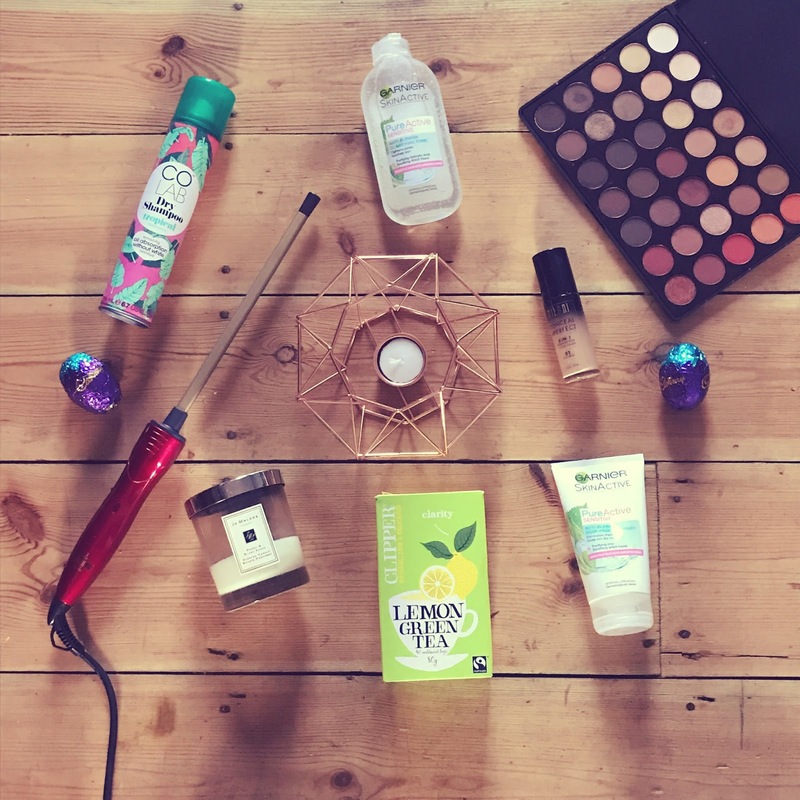 Dry shampoo and green tea with lemon - these guys I should definitely try!